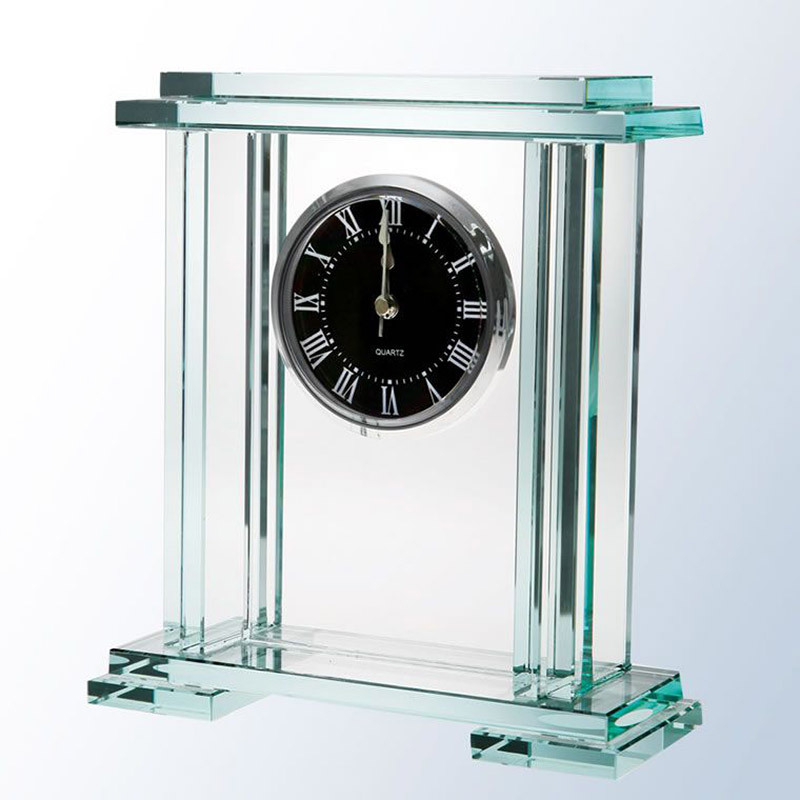 The architectural design of these jade glass presentation clocks evokes the feel of rich elegance. The design is formed from subtly-bevelled glass rectangles enclosing a flat glass plaque that holds the clock itself. The clock face has a black background, silver casing and uses Roman numerals. These luxurious awards can be engraved to create gifts or awards with a real and lasting Wow Factor. They are offered here with low cost engraving.